The last officially annointed member of the Avengers was Spider-Man. Tony declared that he was a fully-fledged member of the team on board Ebony Maw’s ship as they hurtled towards Titan. It was just one more reason why Spidey’s death was so heartbreaking. He had finally been accepted by his idol and had no time to enjoy the biggest thrill of his life. 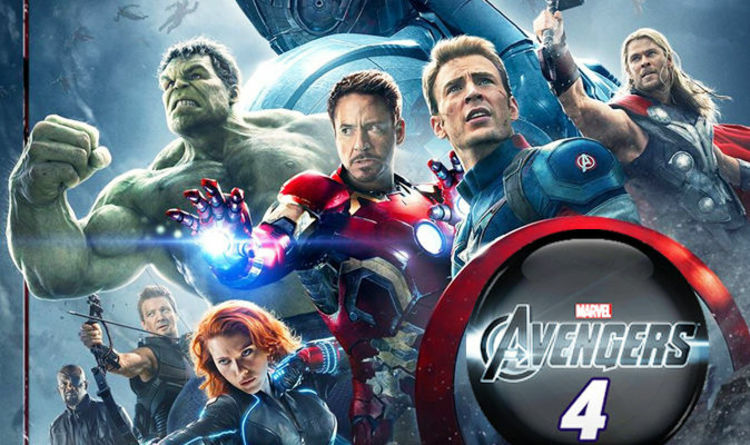 Avengers 4 finds the team decimated and their allies wiped out. As has been pointed out, all the original Avengers luckily (or ominously) survived The Snap. Iron Man, Hulk/Bruce, Thor, Captain America and Black Widow have now been joined by a popular and foul-mouthed new member in a leaked image. As has frequently happened in the past, some of the most intriguing leaks and advance images come from merchandise packaging. Manufacturers of associated toys, games and action figures need to start preparing packaging and items long before the film actually hits cinemas and they will have advance information about the characters and their costumes, weapons and so on. A new box packaging image below shows Thor in a new white Avengers suit with the large ‘A’ logo. Captain America can also be seen wearing the same uniform and matching helmet in the insert in the bottom right corner. No costume has been seen like this before and fans are immediately speculating it hints at time travel or quantum realm exploration. But it also shows Thor with the latest member of the team. Rocket Raccoon, the last surving Guardian of the Galaxy, is now an Avenger. This makes perfect sense, since he lost his own entire team. Does this mean that Nebula will also become an Avenger? She was last seen with Tony Stark on Titan and is expected to help the badly wounded hero pilot a ship back to Earth. But what about those white suits? Every costume fans have seen so far across every Marvel movie has been predominantly dark, so this a huge departure and has a very futuristic sci-fi look. From a filmmaking perspective, it is also the perfect visual for any expected visits to the Quantum Realm which is particularly bright and phosphorescent. Another option is that they are some of sort of space suit, if the arrival of Captain Marvel moves the action back out into the galaxy. There has also been speculation they link to the expected time travel plot, but the images shown so far of New York at the time of the first Avengers movie only show Tony Stark, Bruce Banner and Steve Rogers – and they are wearing traditional retro Avengers and SHIELD uniforms. However new theories also suggest that Thor, Rocket and Captain America travel back to the 1990s to get Captain Marvel, whether via the Quanum Realm Time Vortex or another form of time travel, in these uniforms.